Want to strike fear, disgust and dismay into the heart of any middle school students? Tell them that in class today they are going to “do a worksheet” or that you have a packet for them. Eyes will roll, groans will erupt, and kids will shut down. According to students, worksheets are boring busywork that teachers assign when they have something else they want to do. They are useless time wasters. Except when they aren’t. Because sometimes they’re not. Practice is important. It’s not reasonable to expect that a student who has been exposed to an idea only once can sudden apply that idea appropriately in a problem based setting. It’s not always feasible to have concept application be problem based, although it would be nice if it was feasible. Sometimes I need my kids to practice. Not practice in a drill-and-kill kind of way, but practice in a simulation, word-problem, answer the question kind of way. Practice is a – dare I say it? – worksheet kind of way. But to call it a worksheet is a kiss of death. So I began to reflect. Part of this is my National Board Certification mindset, part of it is my natural geekiness for data and rationale, part of it is my how-can-I -get-the-kids-to-eat-their-vegetables mindset. Why do I need them to complete this practice/application? What will they get out of it? If I can justify to myself that it is a valuable use of time (which, by the way, is my most valuable resource), I’ll assign it. If not, it gets discarded. I decided to call it a “Learning Opportunity” or LO for short. That’s what it is. It is an opportunity for a student to learn. The emphasis is on the LEARNING, not on the working or the keeping busy. It’s all about learning. It’s working really well for me. Students don’t fight LOs. They don’t roll their eyes. They don’t moan and complain. They get right down to work because, after all, they have been given an opportunity to LEARN. When I went to the ISTE (http://www.iste.org/) conference this summer in Atlanta, I had high expectations. Extremely high expectation. Unattainably high expectations. But I was disappointed. 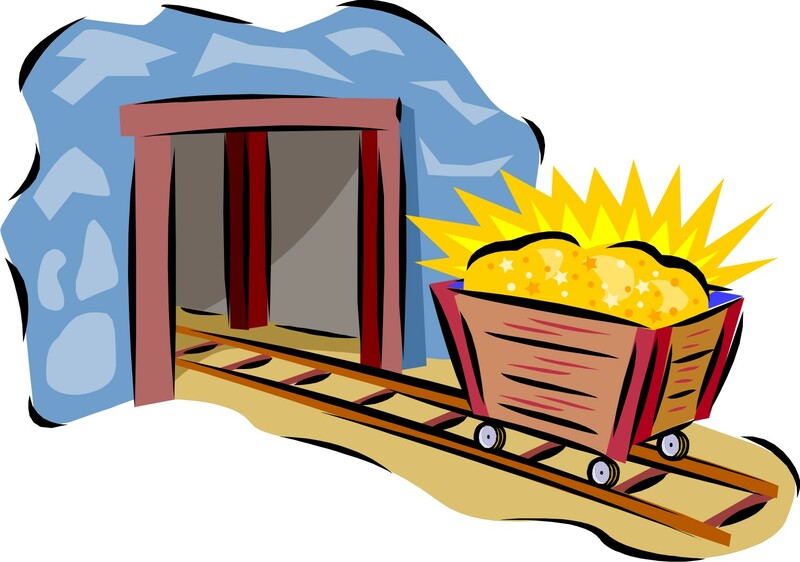 I’ve always thought that being a teacher was a lot like being a gold miner. When people first came out west, gold was everywhere. It was easy pickings. Now we sift through tons and tons and tons of ore just to find a little nugget (if we’re extremely lucky) or some gold dust. That’s what it’s like to be a teacher. A new teacher finds gold everywhere and can’t pick it up fast enough. But as the years go by, it is harder and harder to find gold. We search websites, go to conferences, read magazines, books, journals – all in a hunt for our elusive gold. We usually end up with some gold dust – that’s what makes us keep hunting. Finding a gold nugget happens will less frequency. The first ISTE conference I went to allowed me to be a new teacher again. Gold was everywhere! The second ISTE was a bit less gold, but I brought back some big nuggets. This was my third ISTE conference. No gold. No gold dust. Or so I thought. The last day of the conference, on the day I was taking a 6 hour flight home, I woke up with a terrible headache and a sinus infection. No conference for me. As I say in the hotel restaurant with my husband, there were 2 women at a nearby table. They were obviously teachers (I’ve been told we have a look). So I started a conversation with them (I talk to everyone). “What’s your best take-away from the conference?” I asked. “Plickers,” one told me. “Definitely Plickers,” the second added. When I asked what Plickers were, they had trouble describing them. To me they are what you get when you cross clickers with pickers – but with no expense. They are like clickers in the each students has their own and their answers are tracked (by student). When I went to the website (https://plickers.com/) and looked at their explanation, I was hooked. My gold! I found my gold! When school began (we begin early here in the desert) I couldn’t wait to get them in the hands of my students. My administrator told the teachers that she expected daily tickets out the door – and that we had to keep track of student responses. With an average student load inching over 150, teacher looked panicked. Not me. I had Plickers. A couple of months later – and dozen of teachers trained – I still think that Plickers is gold. My most valuable resource is my time and using Plickers is like giving me an additional hour or so each day. I use it for attendance, formative assessments, tickets out the door, to poll the students. Daily I find additional uses for Plickers. Because it is both an app and a website it can be a bit confusing. I made a video on how to set up Plicker and use them. (https://www.youtube.com/watch?v=wrHgvVTr5QM&feature=youtu.be) Take a few minutes (OK, a couple of hours) today and get it set up. By Friday you’ll have your time investment back – and more. Leave your comments about what you think of Plickers and how you use them.